Laver – Hello Korea ! IMG_0232, originally uploaded by Almost-Human. Fresh seaweed, roasted and salted and packaged right in front of you. 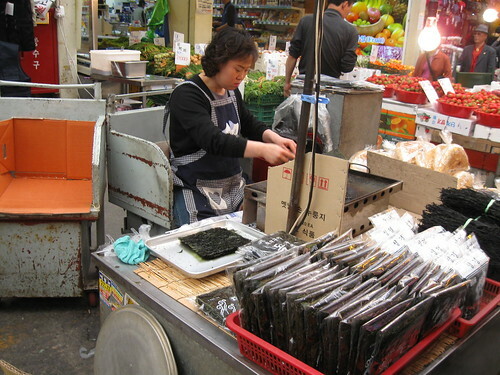 So in the war of supremacy between Korea and Japan, when it comes to seaweed – Korea wins!